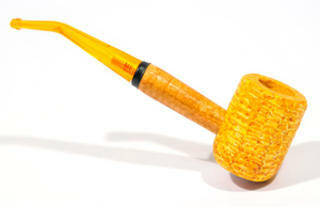 Pipes made in the Traditional corncob shape straight out of Missouri. Corncob pipes made from the corn husk in Missouri by the Ozark Missouri Meerschaum Pipe Company. and stem, which enters the bowl at a right angle for the straight mouthpiece or an oblique angle for the bent mouthpiece, when the mouthpiece is held by the teeth. 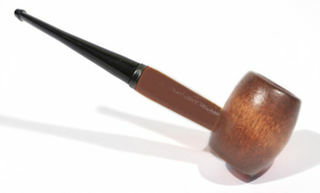 Photo shows bent mouthpiece option with the oblique entry of the stem into the bowl. 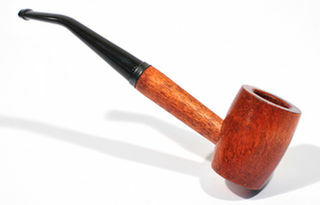 Approximate length of pipe is 5.5 inches (14 cm). Optionally uses a 6mm pipe filter as shown below. Genuine corncob pipes made from birch or maple with cherrywood stain in Missouri by the Ozark Missouri Meerschaum Pipe Company. Available only with a bent mouthpiece and stem which enters the bowl at an oblique angle when the mouthpiece is held by the teeth. Optionally uses a 6mm filter as shown below. Genuine corncob pipes made from birch or maple with maplewood stain in Missouri by the Ozark Missouri Meerschaum Pipe Company. Available only with straight mouthpiece and stem which enters the bowl at a right angle.